Have you ever taken a Fitcation? Maybe you, or someone you know, has used their vacation time to run a half marathon, a tough mudder or go on a yoga retreat? We have done a few of these types of trips and I have to say, I really recommend it! There are all types of fitcations, all over the world and of course at varying costs. In an attempt to be all encompassing, I tried to include a wide variety of options. They have an enormous variety to offer, of course for a price! I have not tried this resource yet, but I am tempted! They will work with you to tailor your destination and activity for your ideal holiday and fitness goals. This would be my way of going to an exotic local and tying in yoga or a spa holiday! Of course we are already in April, but this is a great place to get ideas for next year as well. I have been to a few of these already, and certainly agree with some of their choices! They highlight Mii Amo Resort in Sedona, Arizona. We stayed there in 2016 and it was one of the reasons we eventually bought our house in Tucson. Sedona is spectacular! And Mii Amo is a truly unique experience. It is pricy to be sure, but it is all inclusive and worth every penny! Massages, yoga, hiking, golf, mountain biking and delicious, healthy food! Vancouver in September! The perfect time to go! But the SeaWheeze half marathon fills fast, so if you are interested sign up now! The run through Stanley park is beautiful! Finally, I would like to recommend O.A.R.S. for the more adventurious of you. We have done the white water rafting trip through a portion of the Grand Canyon. 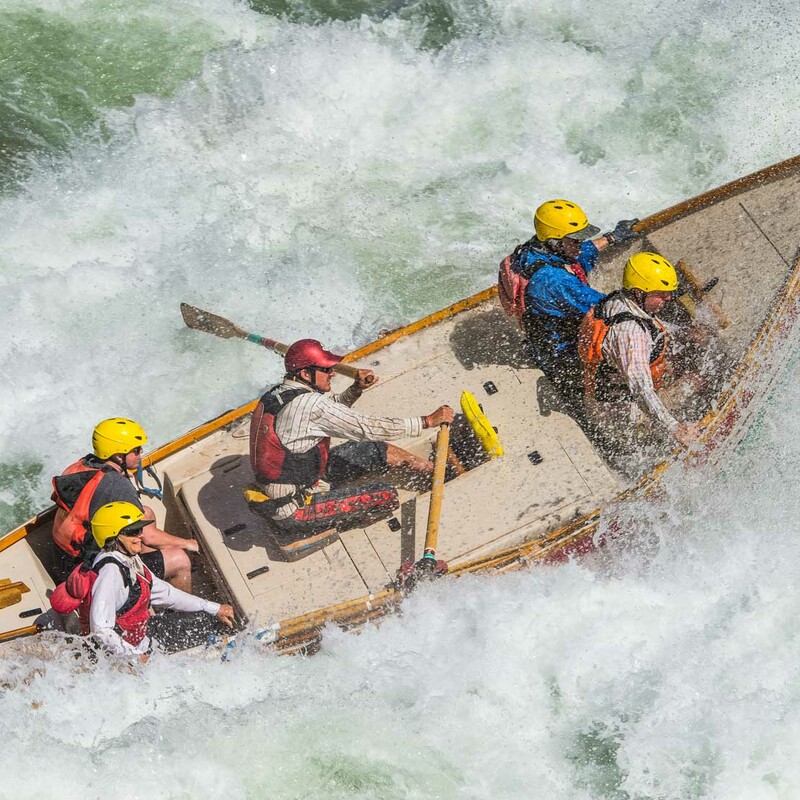 We spent the night at Bar 10 Ranch and, the next morning, took a helicopter ride down into Whitmore Wash. We boarded the Dories (wooden boats) and our guides took us through the rapids for the next three days. We camped along the way, and dined on delicious food, all provided by the company! I do hope you will consider a Fitcation at some point in your vacation planning. They are a great alternative to the same old routine and you may just find that your friends and family enjoy having a new shared activity. We haven’t done a Fitcation, but we have had grand adventures on some of our travels. I’ve always thought Sedona was stunning!! That looks like an amazing place for a getaway. It is! And Mii Amo is only one of many spas and resorts in the area. I really do recommend Sedona for its beauty and the weather is amazing! The term Fitcation is loose in my opinion. We often go on hikes, climbs or run when we are in a new area, and that would not be a dedicated fitness trip. We just like a balance of fitness, eating and sightseeing 😊 I think your Aruba trip fits that definition too! Rafting in Amazon is a beautiful adventure. Ypu have introduced me to a new term – fitcation! The concept has been there for ages in Kerala, India – Ayurvedic resorts amidst lush green backwaters or Yoga retreats in the lap of Himalayas. It is only a new thought to us lazy Americans!😊I will check it out!